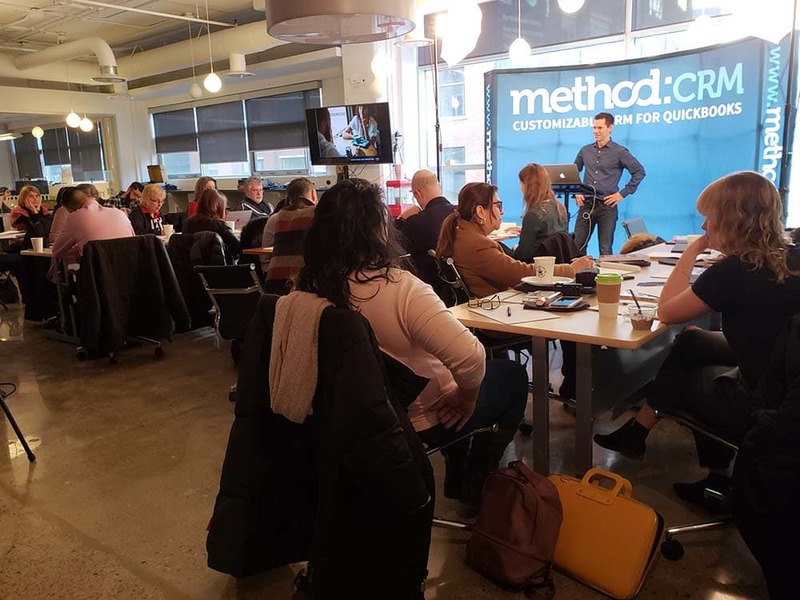 Last week, we opened up the Method office for a brand storytelling workshop led by Mark Evans. 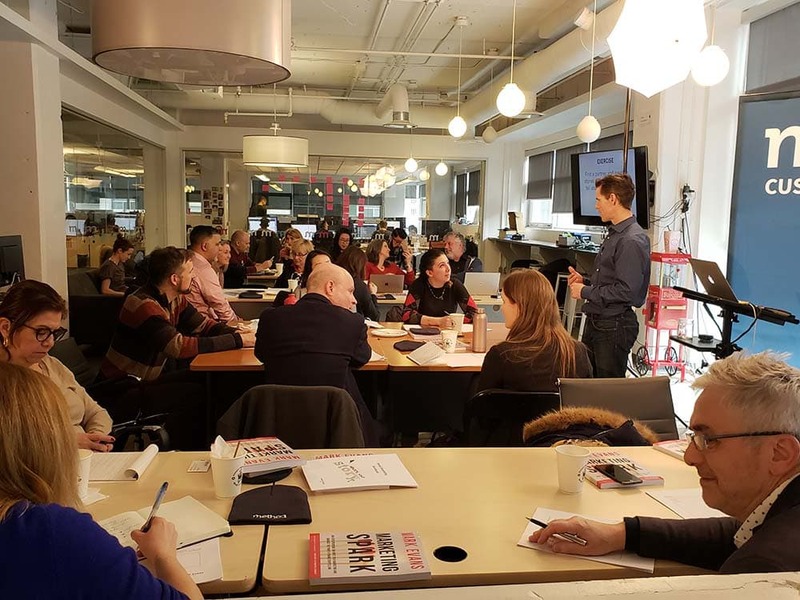 The attendees came from diverse industries, but they had a shared goal: to learn how to talk about their businesses in a way that gets attention and results. As a content marketer at Method, this was particularly relevant to my role. My job, in a nutshell, is to create narratives that educate, excite, and inspire Method prospects, customers, and partners. But even if your job title has nothing to do with content or marketing, there’s tremendous value in being able to explain what you do — and in doing it well. Here are my top three takeaways on brand storytelling that every business can use. Your target customers are bombarded by a lot of information. The average consumer takes in over 100,000 words per day through the internet, TV, radio, social media, and more. They also have an attention span of about 7 seconds (compared to a goldfish’s 8 seconds). All in all, the odds of them truly hearing your message are…not great. This is where storytelling comes in. A story isn’t just a boring list of product features or services offered. A story has an arc: a challenge, a solution, an outcome. When people hear the beginning of a good story, they become invested enough to stick around for the ending. And when the story is over, people remember it and they share it with others. 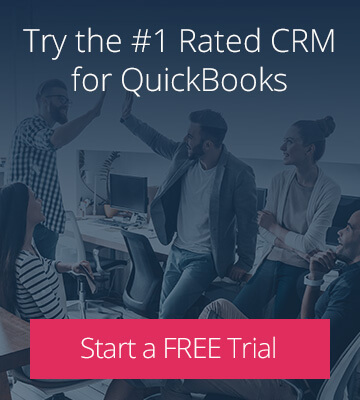 Now, at this point you may be thinking: “But my business is too boring/complex for storytelling.” And in response, I’ll remind you that I work for a company that makes QuickBooks-integrated customer relationship management software built on a customizable no-code platform. But in all seriousness, every business has stories to tell. No matter what you’re selling, there’s something about you, your product, or your customers that’s unique. And by sharing those unique details, you can make the complex simple and the boring interesting. These types of stories are all powerful marketing and sales tools. When potential customers can see themselves and their pain points in your content, it gives them confidence that your business can help them succeed. However, not all of your stories need to be sales pitches. In fact, you’ll probably be better off if they aren’t. People make decisions based on emotions — so if you can tell a story that really makes people feel something about your business, you’ll be well-positioned to convert them to a customer. Tell your origin story: How and why did you start your business? What was your vision or mission? Who helped you? What was your lucky break? Talk about your team: Who are your employees? What do they do to serve your customers? What are they passionate about? What led them to your company? Describe your challenges: Has your business experienced hard times? What did you do to overcome those challenges? What did you learn from those experiences? There’s a difference between sharing facts and telling good stories. 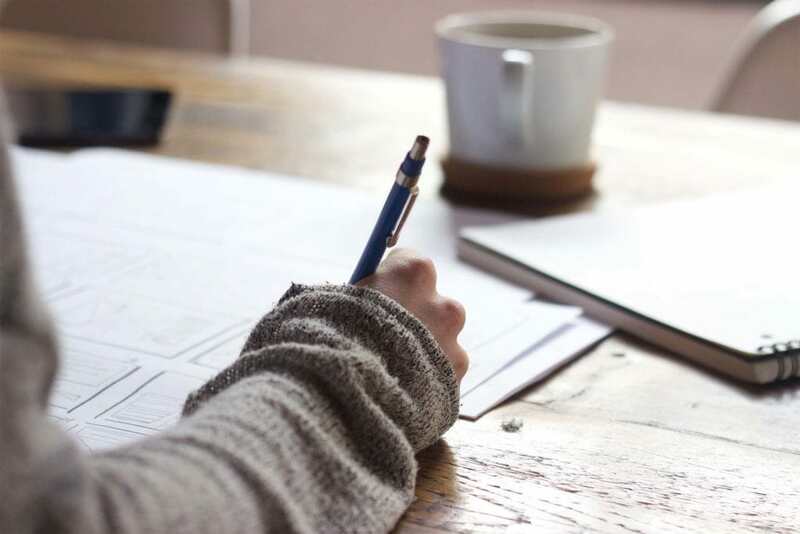 While you’re likely able to describe what you do in a literal sense, turning this description into an engaging narrative can take some trial and error. It’s important to keep in mind that your customers don’t actually care about what you do or how your product works — they care about what you or your product can do for them. As it turns out, coming up with a 4-word story is surprisingly difficult. You want your tagline to be clear enough to avoid confusion, but intriguing enough to spark interest. 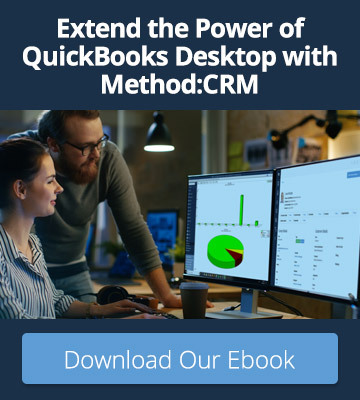 Admittedly, I didn’t land on a perfect story for Method — though I had a few contenders, including the very literal Customizable CRM for QuickBooks and the action-oriented Work how you want. But that’s okay. Storytelling is a dynamic process and your stories will evolve as your business and your customers evolve. And by all means, feel free to use a few more words — you may find it easier to describe your business in a 10-word, 25-word, or 100-word story. Adopting a storytelling mindset may be a big change from your normal marketing strategy. But no matter what you do, there’s a huge opportunity to grow your brand through captivating stories. And there’s no time like the present to begin — so start brainstorming and start sharing.